Why are strikes called "strikes"? The answer goes back 250 years, to the birth-pangs of the working class. Two hundred and fitfty years ago this month the use of the word “strike” to describe a form of collective work stoppage entered the English language. It first appeared during the London Strikes of 1768 led by coal-heavers and sailors. The word originates in the action of “striking,” or removing the topsails of ships, rendering them motionless. Since then, “strike!” has been the iconic word heralding workers’ struggles from the London docks in 1768 to the West Virginia capitol in 2018. Of course, this was not the first time workers collectively withdrew their labor in protest. Indeed, prior to the London Strikes of 1768, keelmen (who worked the “keels,” or boats that carried coal from shore to ship) of the Tyne and Wear in northeast England had so effectively used collective agitation since the mid-seventeenth century that they were, as John Stevenson notes, regarded as “among the first trade to be organized in a primitive form of trade union.” In northwest England in December 1762, sailors in Liverpool stopped work to demand a wage increase. And in 1765, coal miners across the north of England engaged in a prolonged stoppage. In April 1768, sailors in Sunderland prevented ships from leaving port by lowering down the yards (thus “striking” their sails). As a result, the owners and masters of the ships agreed to the sailors’ demands for pay rises. Sailors on the Thames would repeat these actions in May. News of the tactics in the northeast reached London’s coal-heavers, and a word, along with a movement, was born. The rapid growth of London in the eighteenth century required vast quantities of coal, supplied from the mines of northeast England via collier ships. The coal was offloaded by coal-heavers in Wapping and Shadwell, on the north bank of the Thames. It was arduous, dirty work controlled by “undertakers,” middlemen who hired the heavers and paid them on a piecework basis. The undertakers, many of whom owned the local inns and taverns, paid in kind, such as food and drink, alongside the “sack” or “vat” of coal that was an element of payment. Coal heaving was thirsty work, and, due to the poor quality of water at the time, the workers turned to beer. Given that the inns and taverns were the only convenient places to eat and drink in the area, the undertakers exercised considerable control over the coal-heavers’ means of subsistence. Most of the coal-heavers were Irish. Some had emigrated in the wake of the first wave of land agitation in southern Ireland in 1762–63. Some were Whiteboys, a secret organization which used violent tactics to defend tenant farmers’ interests in Ireland, but it is equally possible, as David Featherstone observes, that some Irish migrants simply mimicked their tactics. The coal-heavers worked together on the docks in groups of sixteen or so. The lineaments of collective organization were already in place. In 1758 they successfully petitioned Parliament to break the undertakers’ monopoly over the shovels heavers required for their work. Previously, undertakers controlled the manufacturing of these shovels and rented them to workers at extortionate rates. On the other hand, wage legislation introduced in 1758 was quickly circumvented. The local alderman responsible for the law’s implementation was William Beckford, who owned substantial sugar plantations worked by slave labor in Jamaica. He represented the new class of laissez-faire capitalist unwilling to intervene in the interests of laborers. The growth in commerce and light manufacturing in London’s East End meant that conflicts like these were bubbling up everywhere. In the Spitalfields riot in 1765, during a downturn in the silk-weaving industry, weavers organized to demand that their pay did not fall beneath subsistence levels. They were practicing an illegal, and unofficial, form of early trade unionism. In 1765, they protested the importation of French silk. They continued rioting in 1767. In 1768, food shortages sparked even more riots throughout London. That April, coal-heavers boarded ships, wounding a number of strike-breaking laborers. On land, protest focused on the undertakers who had been using their inns and taverns as bases to recruit strikebreakers. Coal-heavers also sought the help of a local magistrate, Ralph Hodgson, to help break the coal merchants’ and undertakers’ gatekeeping of work assignments. Hodgson set up a hiring hall where ships’ captains could enquire about hiring coal-heavers. The undertakers responded by bringing in outside labor. In April, the coal-heavers targeted undertaker John Green’s Roundabout Tavern with gunfire. A coal-heaver and a shoemaker were killed. The next day Green saw off another attack, shooting dead a number of assailants. Seven coal-heavers were arrested, convicted, and hanged. Nonetheless, coal-heavers continued to lobby for better pay. In early May, they stopped their labor until they received written assurances of a pay increase. They even took away the horses that ferried coal carts from the East End’s streets towards the wealthy West End, thus disrupting the industry’s supply chain. That month, heavers’ protests spread to London sailors. Following the Seven Years War which ended in 1763, there was less work for sailors, and pay for the same work varied depending on the ship-owner. By May 1768, London sailors were surveying pay across ships and taking note of the disparities. They remembered the sailors in Sunderland, whose raises were won not just by “striking” their sails, but by marching with drums and flags past the bakers and butchers whose wares they could no longer afford. The example of collective agitation had been set. Soon, London sailors were forcibly boarding ships and unreefing, or “striking,” the ships’ sails, threatening that none would sail unless they received a pay rise. The sailors petitioned Parliament and the Lord Mayor for a wage increase. By May 11, they marshalled fourteen thousand to march to Westminster. They were able, as reported by Walter Shelton, to call upon “watermen, lightermen, ballast men, ballast heavers, coal-heavers etc. to leave their duty and not to go to work until our wages be settled.” By the start of the second week of May, several boats with coal-heavers and sailors passed Parliament, landed west of the Houses of Parliament, and urged other workers on the wharves to join them as they marched several miles back east, collecting more workers as they went until, when they reached Stepney Fields — open land just north of Wapping — they were joined by a “prodigious” number of other coal-heavers and sailors. 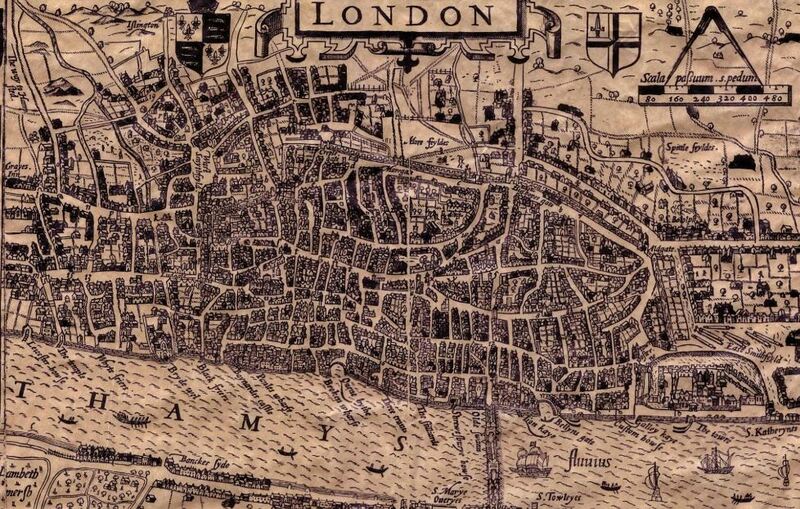 Within weeks, all trade on the Thames — a maritime artery of Empire handling almost one-third of Britain’s trade — had been brought to a standstill. Other workers, such as watermen and carmen, joined or threatened strikes. Undertakers continued, however, to bring strikebreakers from Tyneside, thus subverting the alliance between the coal-heavers and the sailors. By early May, the sailors’ demand for a wage hike was refused. The government deployed naval ships along the docks. Conflict escalated. As scab labor began to unload the ships, a riot broke out and a sailor was fatally wounded. The response was severe. Nine coal-heavers were charged with the sailor’s murder. Two were hanged at Tyburn, a traditional site of execution. Six others were hanged at Sun Tavern Fields — close to where the coal-heavers lived and worked. Fifty thousand people attended, with hundreds of constables and troops deployed. Troops were kept stationed in the area until September. The hangings broke the coal-heavers’ resolve, but the underlying resistance they exemplified against commerce and Crown was not forgotten and it fed future protest. Within days of the sailors stopping all outgoing ships on the Thames, we encounter the first record in print that fellow workers — hatters in this case — “struck” for a pay increase (St James’s Chronicle and The British Evening-Post, May 7-10, 1768). It is likely that the technical term for “striking” sails — which had secured higher pay for the Tyneside sailors — quickly circulated from the docks onto shore and then among London’s laboring population who were increasingly suffering from the same high food prices. By spring 1768, a new term for labor agitation appears to have been coined. Seamen’s strikes would subsequently occur on both sides of the Atlantic with increasing frequency, inspiring other workers. In 1775, shipwrights went on strike in Portsmouth, then the largest naval dockyard in Britain. In the United States, the Federal Society of Journeymen Cordwainers in Philadelphia had regular “turnouts’ aimed at protecting shoemakers’ wages. By the early nineteenth century, their actions culminated in what’s believed to be the first usage of the verb “to strike” in America. In London’s strikes, despite the violent confrontations between coal-heavers and strikebreaking sailors, all the workers involved “showed an unprecedented degree of solidarity.” The strike represented a clear development in the potential for sympathetic labor agitation. Unfortunately, that potential was dampened when the sailors won their wage increase and returned to work, leaving the still-protesting coal-heavers in the lurch. The phenomenon of riotous assembly was not new in Hanoverian England. It gained frequency as George III became increasingly reactionary and the aristocracy, the newly propertied landowners, and merchants ruled Parliament, ignoring the needs of the vast majority of the population. In response, the ruling class deployed spectacular hangings, legal persecution of rioters, and military repression to convert London’s poor into a compliant industrial working class. These tools never really went away — as evident in the Battle of Orgreave in Britain in the late 1980s, when baton-wielding and mounted police charged striking miners. The 1768 London Strikes still resonate among a broad array of labor struggles today. But there were unique aspects to the strikes that must be recognized. Among them is the pivotal role played by Irish coal-heavers. They drew from the Whiteboys’ agitation in Ireland to stage collective acts of resistance in a major artery of empire. That resistance combined with larger forces, provoking existential Crown anxieties. Growing mercantile interests, Jacobite rebellions in the first half of the century, and burgeoning republican sentiments in the New World converged to make coal-heavers’ struggles appear particularly threatening to the ruling class. The result was decisive suppression of political difference and the disciplining of a new and growing population of mobile and potentially unruly workers. The success of the London Dock Strike gave a new confidence to workers, particularly unskilled ones, to organize themselves and carry out collective action across the country. In that way, the 1889 strike played a pivotal role in the rise of the British labor movement. But the coal-heavers and sailors of 1768, too, were pioneers. Before “strike” became union activists’ call to battle and before laboring solidarity had been shaped, as E. P. Thompson argued, into an identifiable working class, these eighteenth-century workers made a mark in labor history. Dermot Feenan is an associate research fellow at the Institute of Advanced Legal Studies, University of London.